We are mfg all type Bag Packaging Machine . Like box type bag, PP bag, Ldpe bag, Valve bag and woven bag filling machine as per customer requirements. 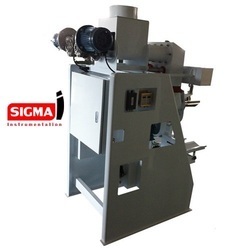 these machine well know by this name also semi automatic bag filling , bag packaging machine. 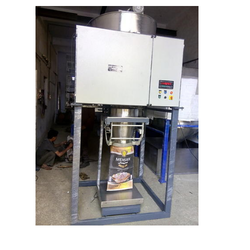 Spice Packing Machine suitable for bulk Spices packing . machine pack 10 kg to 30 kg bag weighing & packing. The packaging machine finds application in packing wide range of products including powders (free and non-free flowing) such as spices, flour (atta), cocoa powder, soup mixes, detergents, yeast, desserts, pharmaceutical and agricultural powders, drinking chocolate, coffee and sugar. Being a customer focused organization, we are engaged in offering premium quality HDPE Packing Machine. They control their temperature accurately on their own. We offer a high range of packing system to the industry which is tested and specified by our experienced engineers. These systems pack the material in a systematic way and perform very smoothly without any noise. We are manufacturing of customize bag packaging machine. 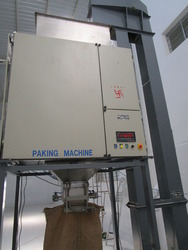 machine also known as bag filling system. 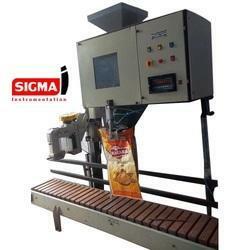 machine is semi automatic bagging machine. 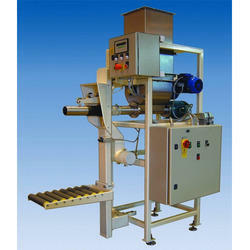 We are the leading Manufacturer, Exporter, and Supplier of Movable Bag Filling Machine. This bag packing machine system is used for the maximum open area of bag packing use. 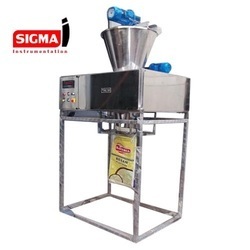 We are known to be one of the leading manufacturers and suppliers of this impeccable range of Bag Filling System or Bag Filling Industrial Machinery. For the purpose of maintaining this reputation, we engage in the utilization of high grade raw materials and modern machines, in accordance with the set industry norms and guidelines. In addition, the offered range is marked at the most reasonable rate possible. We are known to be one of the leading manufacturers and suppliers of this impeccable range of Bag Filling System or Bag Filling Machine. 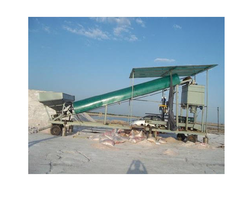 For the purpose of maintaining this reputation, we engage in the utilization of high grade raw materials and modern machines, in accordance with the set industry norms and guidelines. In addition, the offered range is marked at the most reasonable rate possible.